From the very first book in this series, I've been obsessed with these characters. They are a family that I felt I became a part of from the first page of Troubles and because of that, this was a much more emotional read knowing it's the end of the series. 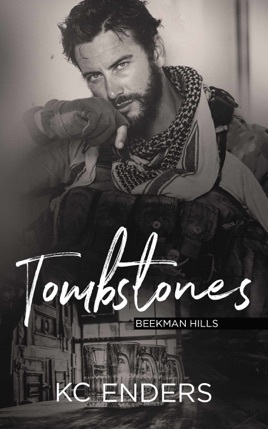 Kate and Jack's story could definitely be read as a standalone but Beekman Hills is such an amazing place that I think people need to read them all. Every book in this series has been fantastic but there was just something a little extra in Tombstones that made it my favorite. Maybe it's the fact that Kate is so strong, sweet, and sassy. Maybe it's that Jack is swoon personified. I couldn't put this book down but I never wanted it to end. Theirs was the perfect end to this series but I'm going to keep hoping this isn't my last visit to Beekman Hills.